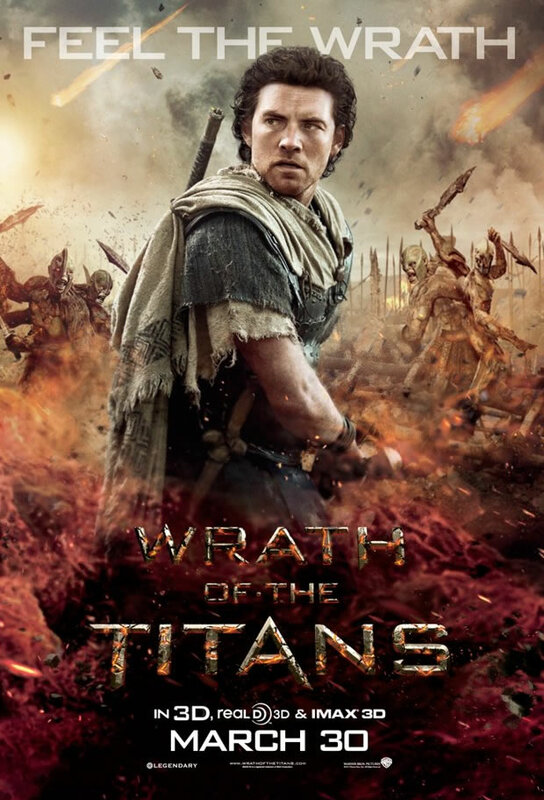 Wrath of the Titans directed by Jonathan Liebesman and starring Sam Worthington, Liam Neeson and Ralph Fienness is the sequel to the 2010 remake Clash of the Titans. The action adventure movie takes place ten years after Perseus defeats the deadly creature the Kracken unleashed by Hades. Now a widower Perseus continues his life as a single father fisherman. Determine to live life as regular human Perseus is soon approached by his father Zeus. A humbled Zeus explains to his son that the Gods are in danger of extinction and only a few survive within the shadows of the underworld. The demigod quickly realizes that the world he lives in is in danger of destruction and his father is now a prisoner of the underworld. Betrayed by his other son Ares and his brother Hades, Zeus’s immortality is at risk. Hades and Ares band together to resurrect the ultimate power Cronos. Perseus embarks upon the adventure of a lifetime to save his father from death, and to save humanity from destruction. The hour and twenty-nine minute movie moves pretty fast and is filled with lots of action, theatrics and really cool creatures and monsters that makes this movie a must see. The weakness that Perseus shows throughout the movie is a disappointment to me. At this point in the franchise the writers should have given Perseus some kind of active powers that reflect that he is a demigod. I don’t think that his strength should just come from a weapon forged for the Gods. The overall storyline is very interesting. It shows the evolution of the main character and how his life has changed and been impacted by being a father himself. The movie ties a lot of loose ends together concerning the relationship between Perseus and his father Zeus. It also explores the difficult past among Hades and Zeus and follows the transformation of their brotherhood. It eventually turns into a heartfelt reconciliation that starts with the reoccurring theme of teamwork and forgiveness. The movie was visually intriguing and is must see, but make sure you see Clash of the Titans first. I give this movie four stars. Thanks for your post “The World According to LaTaeya” it was a good read. I’m a real movie buff! Thanks Gary. Im glad you like it. I am a movie buff as well. I can’t get enough of them. Thanks for checking out my site. Take care.